Interestingly (NOT IRONICALLY), I was just watching Thank You for Smoking when I heard about this. Life imitating art, I guess. Personally, I am opposed to this. I also think it will be relatively in-effective. People who smoke know that smoking is bad for them. Everyone’s gone through D.A.R.E. and had health class. They’ve done a whole lot of research on these labels. They work. I say we add a $5 a pack tax. That’ll curb smoking. Conservatives are always for consumption taxes. I don’t doubt they will be more effective than the current labels. I just don’t think they will be as effective as they are hoping. Regardless of effectiveness, though, I would be against the new labels. I’m actually not that opposed to something like this. 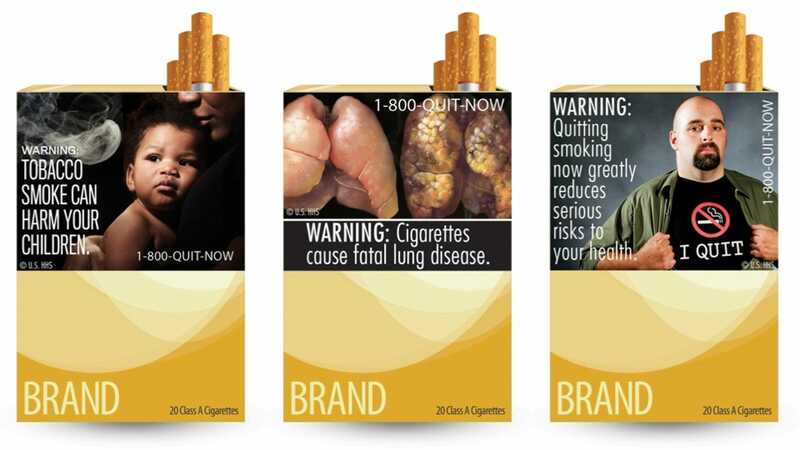 The reason these warning labels are added are not to help educate people - it’s to prevent people from smoking. If that’s your goal, then raising the price will do that pretty effectively. Additionally, considering the impact that health problems related to smoking have on our health care, that would help pay for those costs smokers create. A “health impact fee,*” if you will. *Stolen from Tim Pawlenty which, while a stupid way to circumvent his no taxes pledge, was a good idea. Raising the price like that would probably encourage “black-market” sales. It already has. Bootlegging cigarettes is a huge industry. It’s still a VERY small percentage of smokers because while bootlegging is “a huge industry,” tobacco is a huge huge huge huge huge industry. So you’re a libertarian now? When these same people are sick, should we just let them die when they have no money for care? yea pretty much what i was getting at. better yet lets just poison the cigarettes so they die faster.